The numbers indicate that something is seriously wrong. 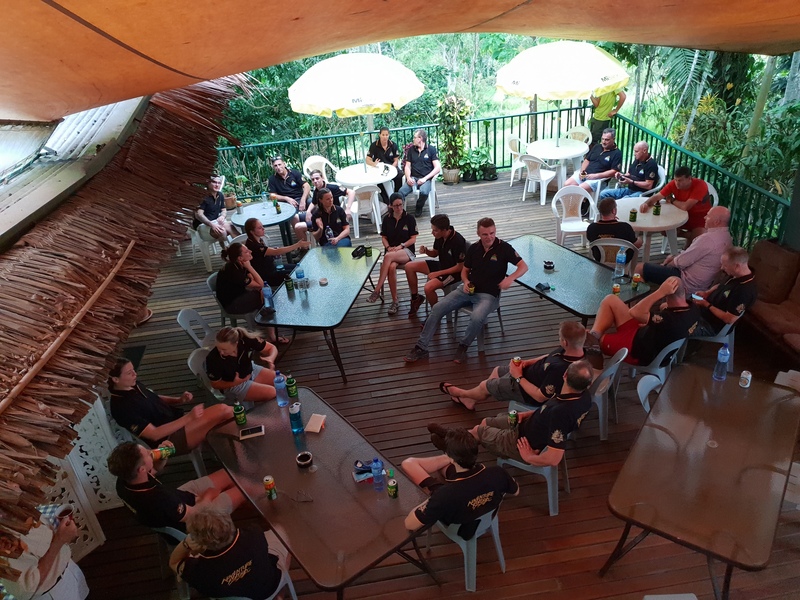 In the lead-up to the surge in trekker numbers there was only one Australian travel agent that could provide logistic support from a base in PNG. Trek operators seeking to meet the demands of the emerging industry had to work from Australia because of the lack of in-country options available to support them. New operators often commented that trekking was the easy part of their business. The amount of work required for marketing, administration and logistics far exceeded the effort required to lead a group across the trail. The financial risk was considerable because there were no guarantees in the ‘land of the unexpected’. Hopes were high when the Australian Government allocated management staff and funds to assist in the further development of the industry in 2009. 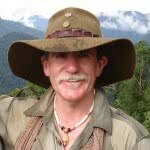 They were soon dashed when it was realised that those responsible had no interest in the wartime history of the Kokoda campaign; no knowledge of the realities of organising and leading groups across the trail; no empathy with the needs of local village communities; and no understanding of the complexities of doing business in PNG. Rather than address these issues they took the path of least resistance and focused on studies relating to climate change, capacity building, gender equity, mentoring, social mapping and other nebulous academic pursuits where outcomes cannot be measured. Political correctness was the dominant theme. 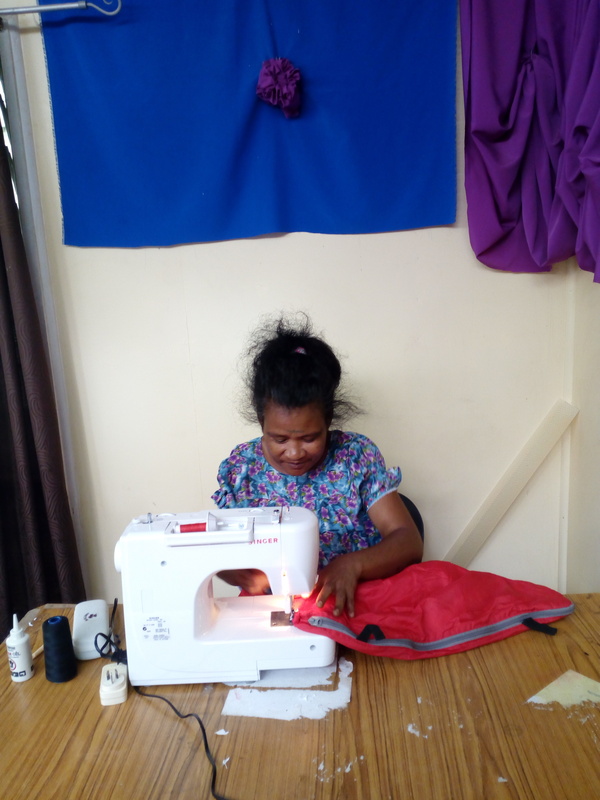 They engaged a PNG ‘CEO designate’ who had no management qualifications and they did not provide any training to equip him for the role – he was a local from a village from along the trail and that was all that mattered. They did not develop a single management protocol for the industry. They insisted that a ranger system could operate with unqualified and inexperienced local people. 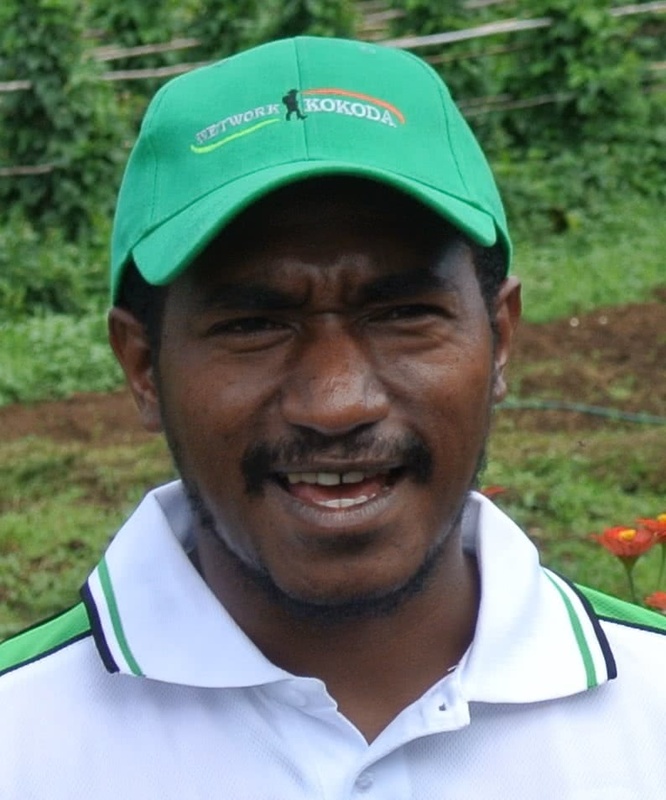 They encouraged local PNG trek operators to lead treks without any due diligence checks or qualifying standards. Bur their greatest mistake was to ignore the opportunities for PNG companies to provide administrative and logistic services to meet the needs of the emerging industry. As a result all KTOA operators now run their businesses from Australia. 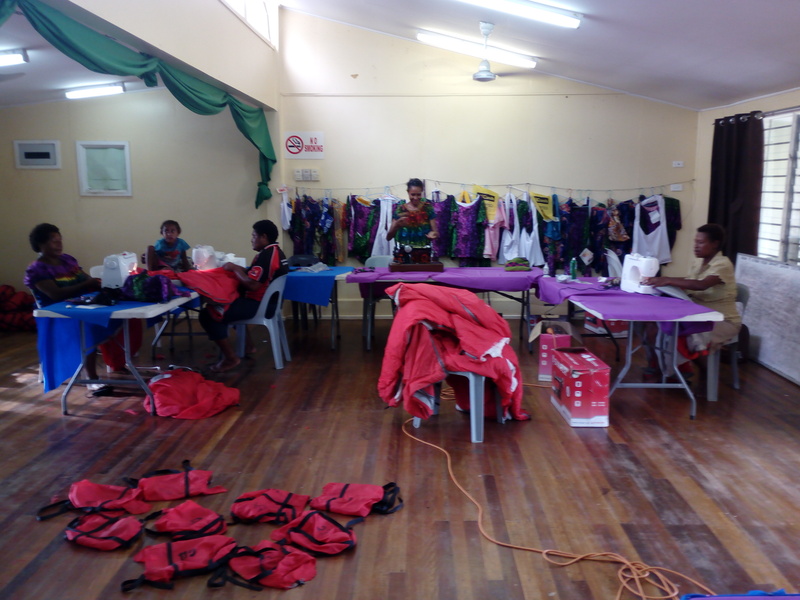 Adventure Kokoda was established prior to Australian Government officials arriving to ‘help PNG’ in 2009. We quickly realised that we had to engage a PNG logistics provider if we hoped to develop a trekking business on the Kokoda Trail. We were fortunate to meet Mr Warren Bartlett, a former Kiap who owned a small shop at Sogeri. Warren had lived and worked in PNG for more than 40 years at the time and he expressed an interest in providing the support we needed. There was no precedent for the journey we were about to embark on so we had to micro-manage and cost every item for a 12 month period to develop a cost-structure and a business. At the end of 12 months we were confident in our ability to support each other. 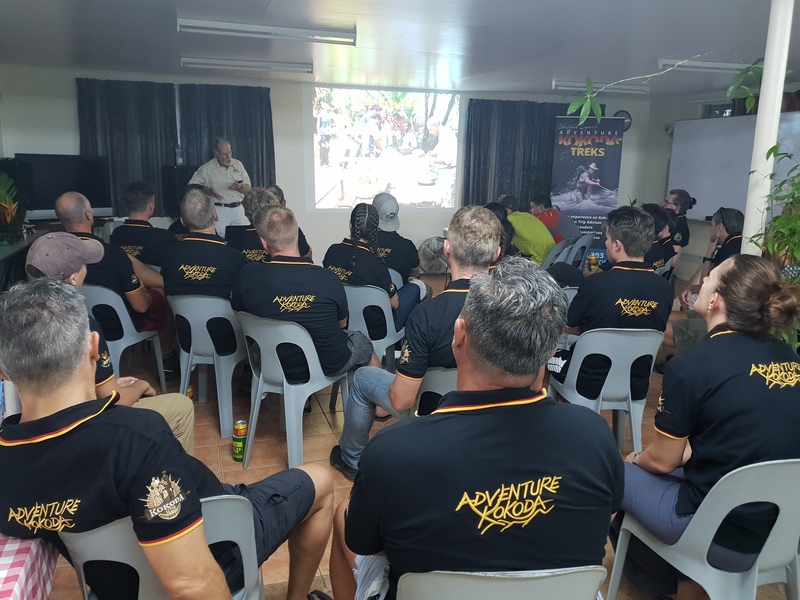 We agreed that Adventure Kokoda would do the marketing, product development and administration and develop a team of professional trek leaders. Warren’s company, Sogeri Enterprises, would meet our trekkers at the airport and provide all the administration and logistic support to get them safely across the trail. As our relationship developed Warren built storerooms for our camping gear. He purchased vehicles and employed drivers to provide transport from the airport to the start of the trail. 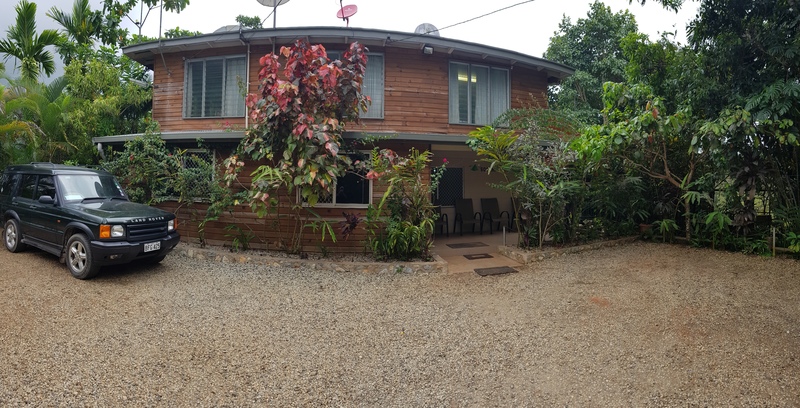 He built additional rooms onto his house and over the past decade it has been transformed into a lodge which can accommodate up to 30 people. He has since built conference rooms to meet training demands in Port Moresby. He now employs two managers – one for his lodge and one to co-ordinate our trekking activities. In addition to this he employs 30 staff and we have 140 guides and carriers to support our treks. We try to ensure that we have equal numbers from villages along the trail and we try and ensure they all get six treks a year each. The guides and carriers we engage are an essential component of our business and we regard their welfare as an important facet of a long-term sustainable relationship. We therefore provide a full trek uniform to each one to instil a sense of pride. We provide sleeping bags and mats and we have paid the owners of our campsites a fee to ensure they have sheltered huts to sleep in. They are provided with a similar ration scale as our trekkers and we provide a local medic with each group to look after their medical needs. To meet their welfare needs we had to make a serious investment in stock from China. We had to build additional storage facilities at Sogeri and we had to employ additional people to manage it. 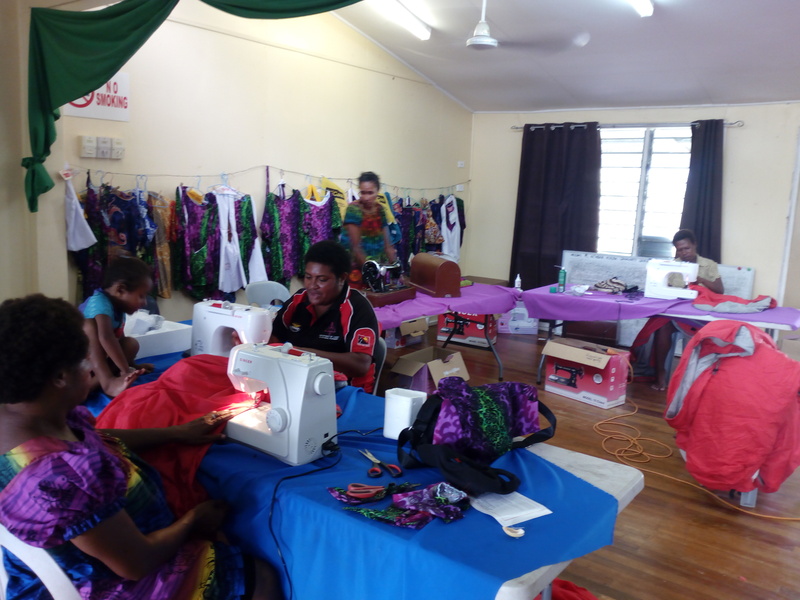 We also engage women’s groups from Sogeri to repair our tents, backpacks and sleeping bags through Network Kokoda. We would not have been able to develop such a business arrangement and achieve these outcomes if we had started our trekking business under the structure put in place by the Australian Government in 2009. There is now no protection for the investment trek operators would have to make to establish a sustainable base in PNG and so they have no option but to run their businesses from Australia. For example, there is no credible licensing system in place to protect investment in the industry. There are no management systems in place. 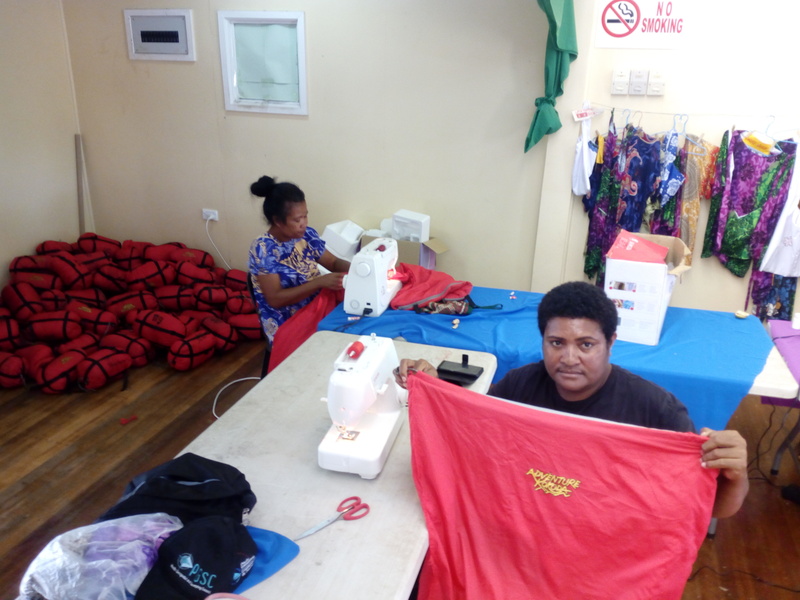 There are no welfare provisions for PNG guides and carriers. There are no services provided to meet the needs of trekkers along the trail. There is no plan to interpret battlesites to enhance the trekking experience. There is no level playing field and therefore no certainty. As result trek operators who joined the industry since the Australian Government assumed control in 2009 cannot accept the financial risk of investing in any form of business development associated with the Kokoda Trail. They have no option but to operate from Australia. The onus should now shift to the PNG Government. If they are sincere in establishing a sustainable trekking industry along the Kokoda Trail they must develop a management system that supports PNG enterprises to provide logistic support to international operators and protects their investment via a credible licensing system. Otherwise the law of the jungle will prevail as each operator is forced to protect their own interest. I have read what sue has written. BUT you can’t complain about things that are happening in PNG if your own backyard is not clean.sue is THE president of the KTOA yet their are operators that are scamming THE people and she is doing nothing to fix it including a license tour operator who threatened to shoot a passenger and family on one of his tours for complaining. People who go onto a kokoda track tour should be safe and be able to trust the kokoda tour operators association members to do the right thing by them but we have the PNG kokoda track authority licensed tour operator’s running amuck and using THE ktoa as a reference for their conduct and the KTOA Lets them get away with it i for one had a bad experience with 3 KTOA operators the PNG TRACK AUTHORITY gave a gun to one of them I BELIEVE ANYWAY I AM RAMBLING ON I’m 70 and i believe that the KTOA SHOULD clean up its own backyard first..